I love to keep abreast of what innovations are being made in baby products and the creativity being shown in furniture in particular, is pretty exciting. Kidskoje, in Germany have tested tradition and contemporary design to come up with a patented sleep, transportation and game concept. 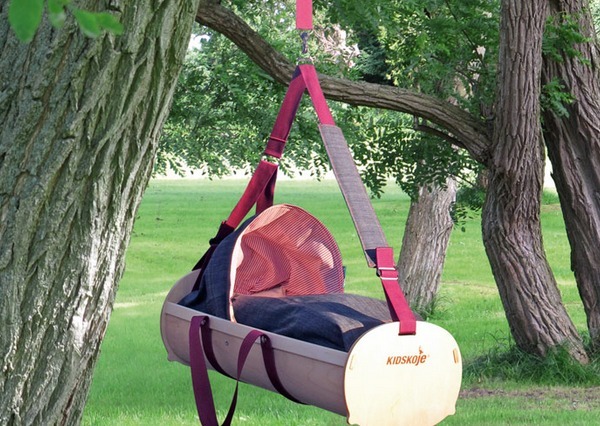 The Kidskoje is an eye-catching bassinet that is mobile and can be transformed into a toy cart when baby has outgrown it. Made from sustainable and eco certified materials, the Kidskoje is built from Multiplex birch plywood and weighs only two kilograms. It is small in size for a snug, womb like environment and has a round, outer shape to facilitate rocking. 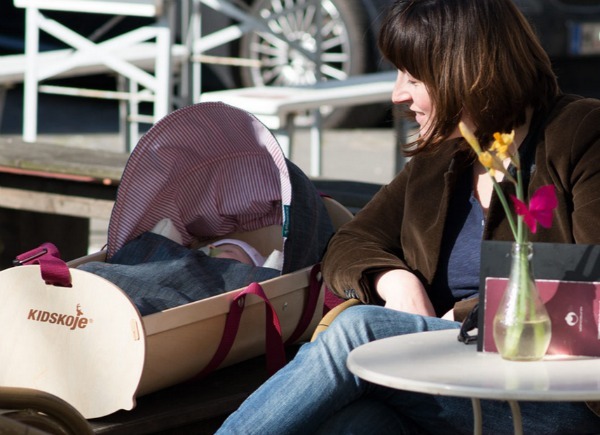 An adjustable shoulder strap, which is secured at three points to prevent tipping, allows the bassinet to be worn around the house or down the street or – as would be my preference with an Australian mentality – hung as a swing with the addition of a door brace. 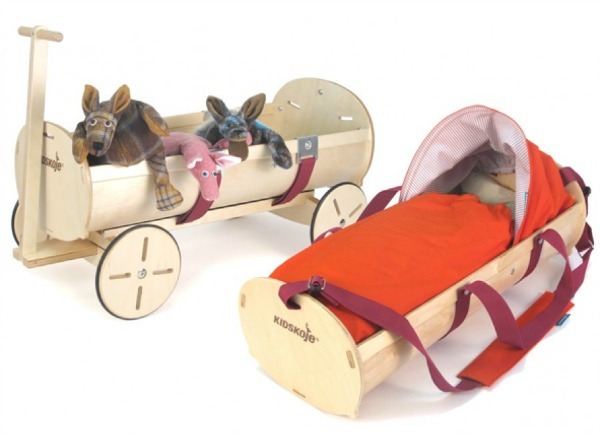 A foldable stand is available to purchase in addition to the cradle so baby can be put down safely at bed height and when the baby has outgrown the bassinet, transform it into a toy wagon with the addition of wheels. Simply remove all covers and straps, fasten the toy cart chassis and your toddler is set to take his blocks or teddies for a ride through the house. The bassinet comes with your choice of hypoallergenic foam or organic wool mattress and sturdy cotton covers with matching organic cotton linings in several colours and patterns. 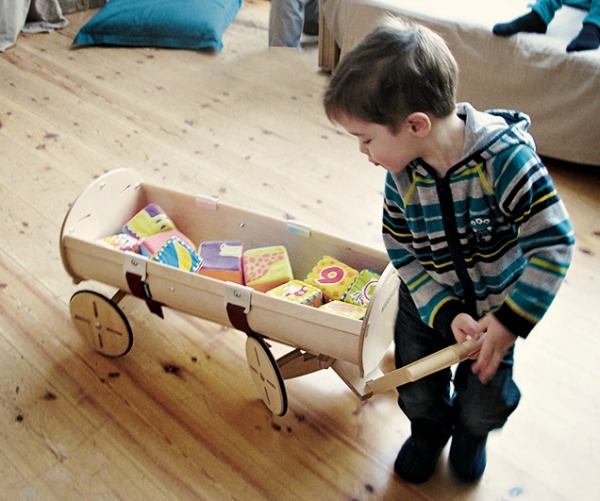 At this stage, the Kidskoje only ships throughout Europe and costs €298 by itself or €459 as a package with the wagon.